Home / esports / gamers / games / globe / met / mobile / News / tournament / Rules Of Survival PPGL2019 Torunament Schedule and Prizes details. 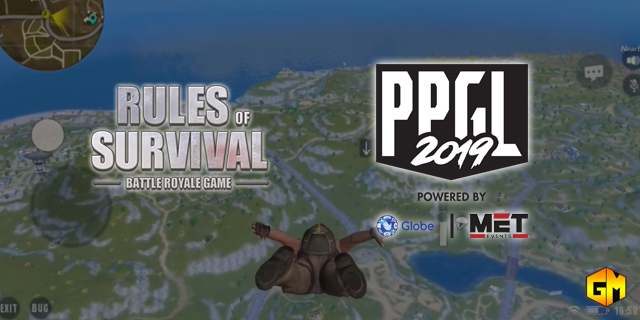 Rules Of Survival PPGL2019 Torunament Schedule and Prizes details. After the successful event in the previous year finally the multi-title eSports league, the Philippine Pro Gaming League or the PPGL is all set again this year. MET Events join forces with Globe Telecom again to bring the much bigger and better PPGL 2019 with a whooping PHP 1.3 Million total prize pool are up for grabs. One of the additional games this year is the Rules Of Survival, a battle-royale game developed by NetEase Games and release in 2017. The game become popular across all region for being a Free-to-Play game and for being playable on both PC and mobile platform. Note: The PPGL 2019 Rules of Survival Tournament will only available for Mobile platform. Aside from the Rules of Survival, they will also have LOL, AOV and Tekken 7 games that are on the line. See details below.